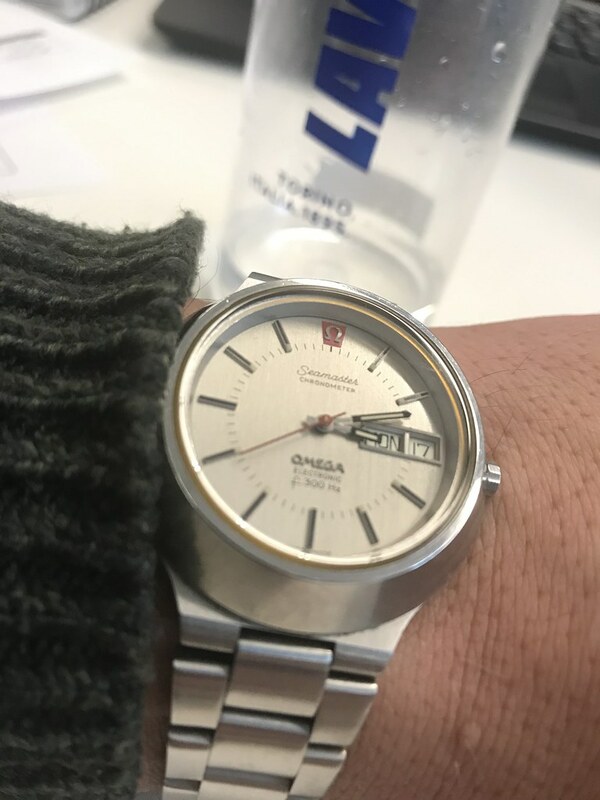 I take a different view,I only buy what takes my fancy not bothered about investment value.Had datejust and non date sub,not overly impressed if I’m honest. I went for the quartz colt,imho a lot of watch for the cash . I’d echo what @Bonzodog and @craig12 have said. Money is no guarantee of having a class collection. For me collecting is buying what you like and going out there and make memories with it. Take my Tudor gmt it’s not the most expensive watch nor the cheapest but for me it’s bang on, I’ve been lucky enough to take it too three different countries so it’s fast becoming a companion, not an investment. Oris have a very good reputation, they`re well liked by their owners and you dont see many bad words said about them, they`re affordable too! Also agree. Buying watches is effectively buying jewellery — it’s best to buy for love. If you are going to worry about it being a “safe bet” from a resale value point of view, you will probably miss out on lots of truly lovely things. Just my tuppenceworth . . .
Money ? I love these things, loads of them, and most for around £20. and exclusivity ?, a gift from a fellow forum member. Been drooling over an Oris for my next purchase. I would concur with the honourable gentleman above. 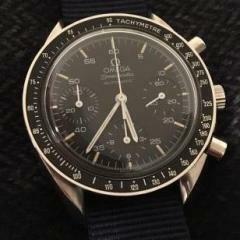 Don’t worry about buying expensive watches and their perceived resale value. Buy for love, buy for fun; there is plenty of great watches in the cheap seats. Breitling aesthetics usually create the marmite effect. I love Breitling watches... Always available at decent discounts and some fantastic nearly new NOS bargains to be had ( 2017/18 Superoceans to be had for £2000-ish in mint condition etc etc ). It will depend entirely upon what type of watch you like. For 2500 I would guess you are talking about a nice pre owned Air King the 34mm versions not those horrible looking monstrosities with the huge numeral that look like something Invicta would have rejected for being too ugly. You can find a very nice Rolex 6694 for 2500 which would be a safe bet if you were buying to keep. Even with service costs you would be unlikely to lose your money on it. 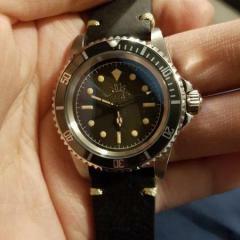 Tudor Black Bay GMT assuming you are not daft enough to want it NOW! and will simply have the good sense to wait for it to arrive in stock you would be unlikely to lose money on that (2500 buying it on a leather strap) I think the other Black Bay watches will likewise hold their value very well ones with the ETA movements seem to be selling for near enough what they were going for new a few years back. Sinn watches seem to have little loss in them assuming you buy the right one as discounts are hard to come by. Oris are a bit like Longines. Great watches and represent excellent value for money but very often found at discounts/sales of up to 20% so you would have to factor in the fact that if you come to sell one everyone will also know that they can buy the same watch new for 20% discount so you will have to price it keen to sell. I should probably say though, I wouldnt describe any of the above a a luxury watch. Well if you really did want the smallest financial loss I would just get a few NOS Vostok watches. Great mechanical movements, some with very nice conservative dials and can be found for about £50 If you did come to sell what is the most you will lose, a tenner? Totally agree with you for luxury you need money no denying that. For quality at an affordable price to the masses ther is loads to choose from. That's when being a member on a good forum can stop you spending on garbage this covers most watches with designer names. I agree with @WRENCH...if I had a spare 2.5K kicking around, I would be after a few more Seiko 7T32s. Why? Because I like them. I've got Rolex and Omega, and they do exactly the same thing as the Seikos....they tell me the time...I just paid extra for the priviledge and probably won't do it again. £2500 can get you into a Vacheron Constantin, or an Audemars Piguet in an 18k gold case. Its not hard to find a luxury watch for less than 200 quid. We call them vintage. But thats just a euphamism hope thats the correct spelling. For numerous old Zeniths and Omegas. Etc. Then again for me 200 quid on a watch is a luxury budget. A few grand should get you a luxury car. Like an S Class Merc, Jag XJ, BM 7. Thats my budget. People think investing to buy a watch is £ 2500 and included in their collection.